I have another small poem that closes out the latest issue of Right Hand Pointing called “Tiny Data in Large Supply.” Thrilled that the issue takes its name from my piece. It’s another from my short series VDARA, a sequence of about a dozen poems written early this year from notes taken poolside at the Las Vegas hotel of the same name. Two other poems in this series were published in the latest issue of BORT Quarterly back in July. Hopefully a few more of these will see the light of day soon. 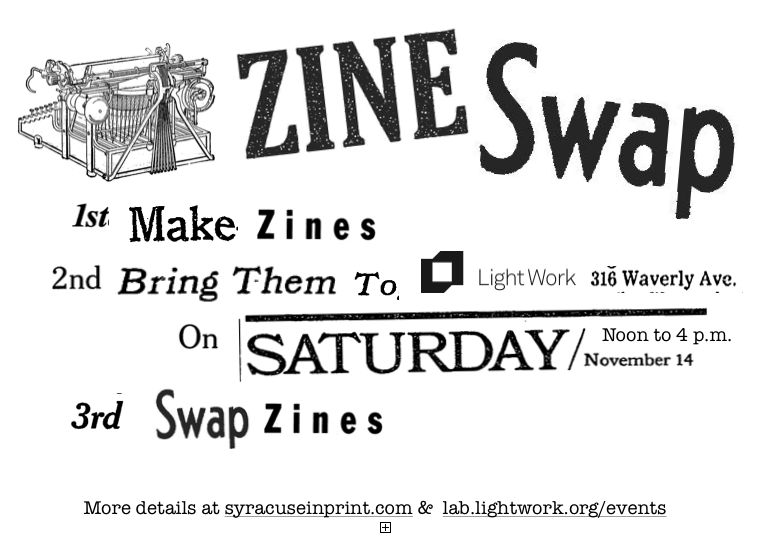 I’m thinking of publishing the group as a ziney little chapbook in advance of the Syracuse In Print zine swap at Light Work in November. I’m almost out of copies of Fourteen Concordance Poems, and I want to make sure to have something to share. Right Hand Pointing also published two of my poems back in 2013, Her Pose & On Departure.